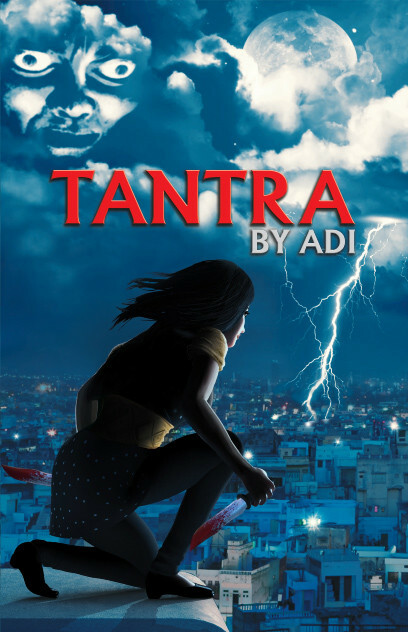 This book starts of with protagonist 'Anu Agarwal', a guardian who fights against vampires in New york coming to Delhi to take revenge on the person/ Vampire who killed her boy friend 'Brian'. Seems very unrealistic na.. While searching for his boy friend's murderer, she comes across a person 'Senaka' who claims to be a spiritual guru and does all evil practices like killing children for some ceremonies using black magic 'tantra'. So, she has to use her abilities to learn satvik 'astras' through concentration(saadhana) to fight against 'Tantra' and stop him from killing many innocent children. Will she be able to leave her search for Brian's murderer and fight against Senaka? Will she be able to get away from her attraction towards 'Gaurav' and concentrate on 'astra'? This forms the remaining story. There are few things which i didn't understand properly like concept of shift, how guardians are trained and chosen etc., as book doesn't elaborate much about them other than using the terms directly. Book explains mediation and satvik concepts well. Author is able to make us understand the struggle that Anu goes through to keep her family safe and away from Vampires and Senaka's followers, her attraction towards Gaurav, her determination to learn and use astras in less time to win over evil. Characterization of Anu, her zeal to learn astra, her concentration and her positive attitude overall. Felt story is not gripping enough to be a thriller. We cannot say it is an on-the-edge thriller. Seeing the cover, i expected it to be a horrific haunting story, but it disappointed me completely. At some places, i felt descriptions are very boring that i was unsure if i could complete the book. I couldn't pinpoint what was missing in the book, but just it couldn't meet my expectation of a super natural thriller. Writing style is smooth and easy to follow. In some places, it gets boring. Characterization, analysis on tantra etc., show author's research work and knowledge about the concepts. Not an on-the-edge, gripping thriller. But, good for one time read to avoid boredom. Nice review. I too, think it wasn't all that gripping. I expected more of vampires and similar stuff. Also, the guardian and shifting thing wasn't easy to comprehend because it should have been explained, but wasn't. Those are common terms in vampire stories, but if you haven't read any before, it's equal to gobbledegook! I hope the author covers these doubts in next book.